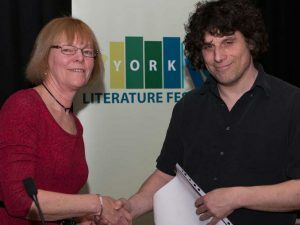 Congratulations to Mr Brown who was awarded third prize in the annual York Poetry Competition. This was a tremendous achievement as there were over 1,800 entries. Mr Brown was invited to the York Literature Festival held at York University where he was awarded his prize from the judge, Carole Bromley.